The magazine’s Berta Greenwald Ledecky Undergraduate Fellows for the 2016-2017 academic year will be Matthew Browne ’17 and Lily Scherlis ’18. 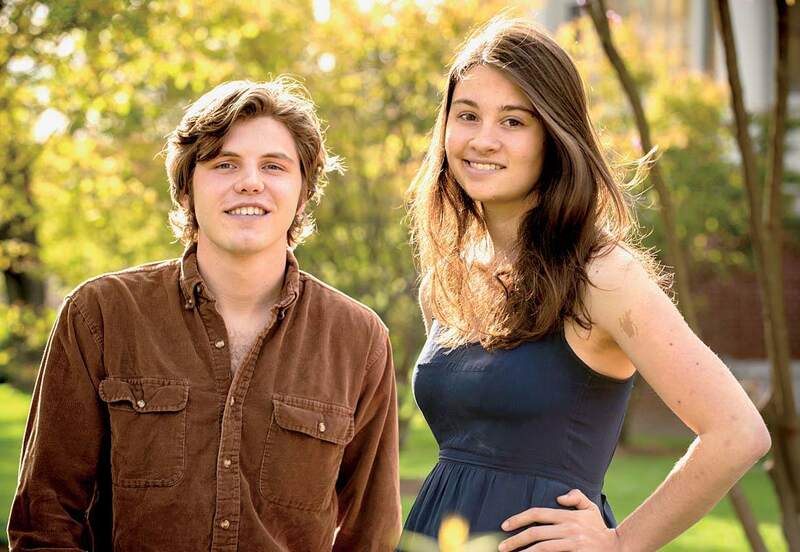 The magazine’s Berta Greenwald Ledecky Undergraduate Fellows for the 2016-2017 academic year will be Matthew Browne ’17 and Lily Scherlis ’18. The fellows join the editorial staff and contribute to the magazine during the year, writing the “Undergraduate” column and reporting for both the print publication and harvardmagazine.com, among other responsibilities. Browne, of West Point, New York, and Adams House, is a senior concentrating in social studies. He is a staff writer for The Harvard Advocate and a member of the Signet Society. After summers previously spent doing research in a biology laboratory and working for a real-estate tech startup, Browne spent this past summer writing freelance articles for various publications and conducting research for a senior thesis about music festivals. Scherlis, who hails from Pittsburgh, is a junior pursuing a joint concentration in comparative literature and visual and environmental studies. She is a staff writer for The Harvard Advocate and a member of The Harvard Lampoon’s art staff. Before arriving at Harvard, she spent a year at art school in Greece. This past summer, Scherlis received an Artist Development Fellowship from Harvard’s Office for the Arts to focus on her painting and writing, and worked as a research assistant at the Radcliffe Institute for Advanced Study. The fellowships are supported by Jonathan J. Ledecky ’79, M.B.A. ’83, and named in honor of his mother. For updates on past Ledecky Fellows and links to their work, see http://harvardmagazine.com/donate/special-gifts/ledecky .